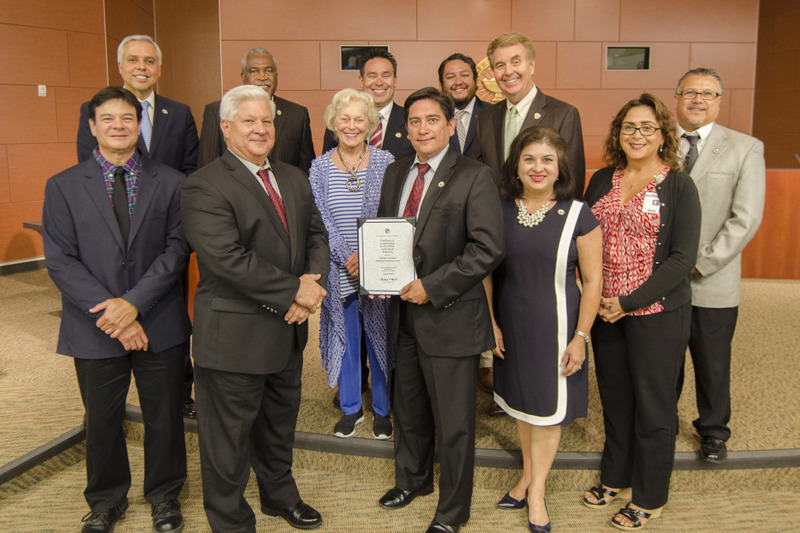 The Certificate of Achievement for Excellence in Financial Reporting was awarded to Harlingen Consolidated Independent School District by Government Finance Officers Association of the United States of America and Canada (GFOA) for its comprehensive annual financial report (CAFR). The CAFR, prepared by HCISD’s Business Services department, was judged by an impartial panel to meet the high standards of the program. The Certificate of Achievement is the highest form of recognition in governmental accounting and financial reporting, and its attainment represents a significant accomplishment by a government and its management. The Government Finance Officers Association is a major professional association servicing the needs of nearly 19,000 appointed and elected local, state, and provincial-level government officials and other finance practitioners. It provides top quality publications, training programs, services, and products designed to enhance the skills and performance of those responsible for government finance policy and management. The association is headquartered in Chicago, Illinois, with offices in Washington, D.C.